Don’t have access to a credit card? Geographically restricted from using popular Web wallets or online payment services? American punters looking for a way to safely fund an online casino account with real money can consider using ACH. We explain more about what ACH is, how to deposit cash online using ACH and the trustworthy online casino sites that accept ACH as a real money deposit method. ACH stands for Automated Clearing House, which is an electronic banking system available in the United States that is overseen by NACHA (National Automated Clearing House Association). 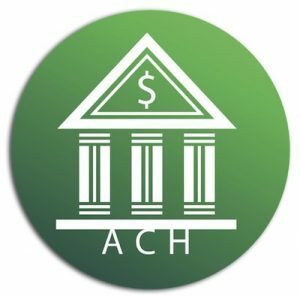 Payments made via ACH are most commonly used for large batch transactions, like the payment of staff wages, social security benefits or business-to-business transactions, but in recent years ACH is more frequently being used for the payment of online bills and other personal financial matters via the Internet. More than US$43 trillion is moved around across 25 billion transactions via the Automated Clearing House every year. An ACH deposit is processed when a user gives an institution (in this case, an online casino operator) authorisation to debit money directly from their cheque or savings account. It is very similar to making a direct online wire transfer, but with the benefit of being processed instantly, unlike bank transfers which typically take a few business days to go through the motions. Who can use ACH for casino deposits? Online casino deposits using ACH can only be made by American residents who have a cheque or savings account set up with a USA bank or credit union. While this payment method was once quite popular at online gambling sites, the crackdown on online gambling in the USA means ACH is nowhere near as commonly accepted as it once was. The 2006 introduction of the Unlawful Internet Gaming Enforcement Act (UIGEA) requires all American financial institutions to block any payments being made to unlicensed online casino sites, leaving American players without many choices when it comes to depositing real money to an offshore casino site. Despite these laws, there are still some reputable online casinos out there that will allow deposits using ACH, although it’s not uncommon to hear of players facing delays as their payments come up against regulation blocks. If an online casino is equipped to accept deposits via ACH, they will likely do so using third-party processors in the United States, which is where the delays can occur. If you find a legitimate online casino site that accepts American players and allows ACH payments, making a real money deposit is a simple process. You will need to sign up for an account with the casino, then go to the cashier/deposit section and select ACH from the list of payment methods available. Enter the amount of money you want to deposit along with your required banking information like account number and routing number, and follow the prompts to complete your transaction. Assuming all is in order, deposits made via the ACH are typically processed on the spot, although you should always prepare yourself for the chance of delays as online casino payments are processed through third-party providers in the USA. There’s always the chance the processor could be shut down by the Department of Justice, which means your funds could be held up much longer than anticipated. Is ACH safe to use at online casinos? ACH is an incredibly safe payment method that is trusted by some of the biggest multi-national corporations and corporate organisations within America. It is overseen by NACHA, which exists to make sure all online payments are secure and seamless. While the payment system itself is entirely dependable and safe, it is the online casino site you are playing at that you need to be wary about. Given Americas strict laws against online gambling (except in certain states where some forms of online gambling are starting to become legalised), US players don’t have a great amount of choice when choosing an online casino site. Some rogue operators have attempted to exploit the restrictive market by luring players in with bonuses and offers that seem too good to be true, and usually are. If you choose to play online, it is imperative you stick with online casino sites that are fully licensed by reputable offshore gambling jurisdictions and adhere to the strict laws and regulations of their region of operation. Always make sure the site is protected by digital SSL (secure socket layer) encryption technology, which is identifiable by checking the URL bar to make sure the Web address begins with “https://” and includes a small padlock icon. If you choose to ignore local laws and play at an online casino site, be aware you are doing so at your own risk and it is your own responsibility to understand the laws that apply to you. For more information, read our detailed guide to America’s online gambling laws.